DON’T FIX IT, Dear Apple! So I was finally forced to update the operating systems on my aged MacBook Pro and iMac to “Yosemite” (is it really necessary to give the software annoyingly cutesy names? ), the highest level of Apple’s operating system the machines will accept. This was a major hassle that required me to pay about $300 to hire a tech to come figure out how to do it, install a new hard drive on the laptop, and absorb several hours of my time in the process. So now these wonderful (no irony) machines are “updated” to the extent possible. If I want to keep up with the times (which I do not, especially), next I need to buy new computers. Like I have nothing else to do with my money…profoundly limited in the post-layoff era. Okay, so I’m proofreading, online, the content of a book I’ve uploaded to the PoD supplier. I used the most recent PDF I had on hand, which presumably is about as good as I’d gotten it before I became distracted by the 14 weeks of respiratory ills. Shee-ut. I need to fix that in the Wyrd document, then save to PDF and upload the corrected PDF. The book’s layout is done in a Wyrd template purchased from Joel Friedlander’s Book Design Templates enterprise. I like these templates, because they come with the margins correctly installed for your desired trim size, the heads and subheads and body copy and all their iterations set in stone using Word’s “Styles” function, and overall they’re easy to use and yield a pleasing product. When I open the most recent Word iteration of this book — this 468-page book — I find that every word I set in italic is now set bold-face italic! I try this. It doesn’t work. Word does not see these characters as boldface italic. Word sees them as plain italic. I try manually changing the things. And guess what? 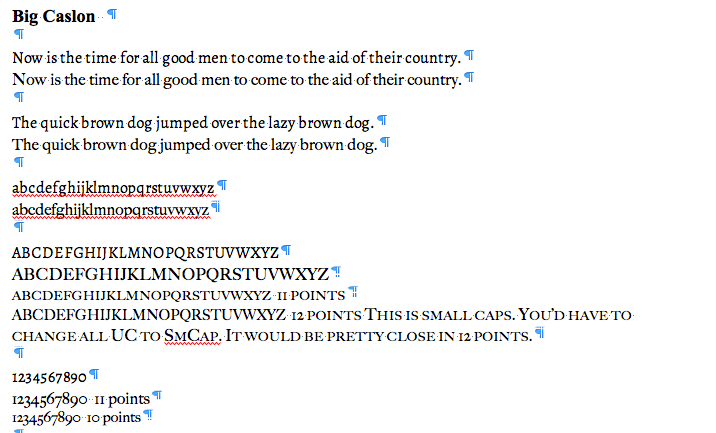 I CAN’T change any of these distortions to plain italic. Or even to plain roman. The best I can do is change them to boldface. And I don’t want the damn things b.f. I want them effing italic. To cut a long and frustrating story short, eventually what I and Friedlander’s designer discover is that somehow the conversion to effing Yosemite has corrupted the template’s font on the MacBook and the MacBook only. If I open the file on the iMac, it looks OK. Even a PDF made on the MacBook and sent to the designer looks OK on his computer. WTF? He suggests we should delete the font from my MacBook and replace it with a new set of fonts, which he sends over. I google “how to delete a font Mac OS X 10.11.4” and find you have to get into something called a Font Book, but no clue is given as to what “Font Book” is or where to find it. I call Apple Support. The tech who responds also has never heard of a “Font Book.” Finally we discover it, not surprisingly, in Applications. I delete the font from “Font Book,” reboot, and, following instructions, install the new version of the designer’s font, which is called “Alegreya.” It’s in the Times family. It’s nothing special, but it’s inoffensive and it has a kind of airiness that works for some kinds of books. When I reboot again and open the files…you got it! All italic is rendered as boldface italic. So, you ask, why don’t I just do all my work henceforth on the iMac? That would make sense, wouldn’t it? Except the reason I’m sitting here in an overstuffed living-room chair with my feet propped up is that my back went out several years ago and I can no longer sit in a desk chair. No. Not in any desk chair (believe me: I’ve tried. Expensively!) So that turns the iMac into an expensive video-streaming device. There’s no way I can sit in front of a desk long enough to render an entire book into print-ready copy. While Friedlander’s designer is sweltering over this problem, I begin to realize that I’m going to have to change the font in this template. And to do it in the 468-page writing text, which, goddamn it, has an index that goddamn it I’ve already had to do over once and I absolutely positively do NOT want to recompile from scratch again because again the goddamn pagination gets changed. Over the course of 468 pages — actually, over the course of something like 10 or 20 pages — this would change line lengths, change paragraph lengths, change chapter lengths, and screw up the pagination that has been so time-consumingly recorded in the index. While I’m waiting for the designer to come up with a new idea, if he can, I go through every serif font in goddamn OS 10.11.4 — there are a LOT of them. Along the way, I discover that Big Caslon — Big Caslon, can you imagine? — is overall about the same size as Alegreya, except for the numerals. It’s close. In fact, it’s SO close that when you change the style for the body copy from Alegreya 11 pt to Big Caslon 11 pt (which you see in the second lines here), you come out with the same number of pages. It looks like the wraps from page to page are consistent, and so if the index is screwed up, it’s probably not so much that anybody is gonna notice. Upper-case is larger in Caslon, but you could fix that by searching format > font > upper case 11 pt and replacing with format > font > small caps 12 pt. As it turned out, though, this was not necessary. 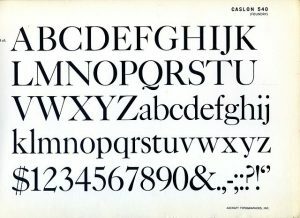 Big Caslon. Who’d’ve thunk it? Well. If it’s good enough for the Harvard Crimson, it’s good enough for Plain & Simple Press. I guess. Can anybody remember when writers wrote? When we did not have to screw around with amateur typesetting and amateur printing and amateur publishing and amateur marketing and amateur fulfillment? When you wrote an article or a book and you forked it over to an editor and you were done except for maybe a little proofreading or demands that you answer some question that came up in fact-checking? Damn. I do hate this Brave New World. This entry was posted in Book design, Print design and layout on June 6, 2017 by funny. New Cookbook Cover: in Progress! Looking better, no? I like the maize-yellow type highlighted with a red “shadow.” The font color is achieved by using the standard yellow in the Powerpoint palette and then adding a very thin white line. The effect is to lighten the shade, creating a kind of lemon hue. Welp, I have GOT to move on to some paying work this afternoon. Thought you might enjoy seeing how a cover evolves as you work it over and over. This entry was posted in Book design, Writers Plain & Simple and tagged 30 Pounds 4 Months cookbook, building a book cover in PowerPoint, diet/cookbook on December 12, 2015 by funny. The plan to publish a hard-copy version of the first Fire-Rider collection (books I-VI) developed into a more complicated project than expected. To make a long and exceptionally frustrating story short, the Wyrd template I used to lay out the pages corrupted — or else it’s PDF, which is unknown. It took quite a while to identify the problem, and once the problem was discovered, the solution required rebuilding a 371-page document from scratch. Once that was done, though, the PDF and the cover loaded fine, I think. LOL! We’ll find out soon enough: when the page proofs get here, we can actually put our hot little hands on them. That should allow us to see any problems and fix. The final cover came out reasonably well, I think. I cut the back cover blurb considerably; added a short pull-out (the italic passage). Instead of arranging the titles of books 1 thru 6 in a vertical list on the front cover, I set them horizontally, separated by bullets. They seem less distracting that way, yet they’re readable. This book will not be sold on Amazon (at least, I have no plans to do so at this time). I’m having it printed to produce something to take to a shindig next month, where we’ll be invited to present our works. However, if you would like a copy, I’d be happy to sell it from this site. Just leave a query as a comment to this post. It was expensive to produce — the page proofs, which are printed and bound like a final copy — came to over $11. So I’m afraid that retail price is going to have to be a little more than $11.99. However, JUST FOR YOU, and just for a limited period, I’ll offer it at that price through this website. This one is at the printer, too, for production of a proof. LOL! The book actually contains eight stories…that will have to be corrected on the back cover. And there, my children, is why we have page proofs! As you can see, I haven’t even placed a bar code on it, so little do I have any intention of peddling it on Amazon. Or in hard copy at all. The final version of this one, which also will go to the December chivaree with me, probably will have the author’s byline centered above the title, with the words Eight and Stories shifted rightward accordingly. And I think I’ll put the imprint’s name — Camptown Races Press — in small type at the lower margin of the back cover, since I’m less than 100% thrilled with the logo I came up with. At any rate, soon the book will exist. It’ll be a COLLECTOR’S ITEM, by golly! What a Christmas present! If you’d like a copy of it, let me know — again, contact me through the comments section to this post. Printing cost for this was a little more sane. I think I can afford to sell it for about $10, providing about $2 profit. So, come one, come all! The first Fire-Rider collection, $11.99 (a give-away!) and the first Racy Books collection, $10. This entry was posted in Book design, Book sales, Books, Writers Plain & Simple and tagged book layout, Fire-Rider, hard-copy books, print-on-demand book production, print-on-demand formatting, Roberta Stuart, The Family at the Holidays, The Saga Begins, Victoria Hay on November 18, 2015 by funny. Designing a Paperback Cover in PowerPoint: Success! For some time, I’ve suspected that if you can build a credible Kindle cover in PowerPoint (which you certainly can! ), you ought also to be able to build a cover for a print paperback version of your magnum opus. Will it look gaudy and spectacular and eye-spinning, the way some professionally designed covers do? Well, of course not. But on the other hand, there’s something to be said for simplicity. The cover pitch could be a lot snappier, but we’re not quite ready to go to print yet, so there’s time to revise that. The point is: the design! It fits the printer’s specs, and when I went to upload this draft, by golly, it worked! The trick is to learn the printer’s specs first, convert from inches to pixels, and use PowerPoint’s File > Page Setup function to create a virtual “board” (as it were) in the correct size. For the horizontal size, you need to add the cover width x 2 (i.e., the width of the front and back covers + the width of the spine + the width of the bleed x 2. Get the spine width and the bleed width from your printer’s website — the printer should be able to tell you the spine width based on the number of pages and the paper stock you choose. The height is simpler: height + (bleed width x 2). Jargon alert: The “trim size” is the size of the book when it’s printed and the pages and covers are “trimmed” to fit the size of the book you have in mind. The cover’s “bleed” is a small margin around the outside of this “trim size” that your cover image should overlap: this prevents minor errors from leaving you with a white strip along an edge. At my printer’s website, I entered the size I’d like the book to be and the number of pages. Up came the specs: The total width of the PDF I would need to upload should be 12.28 inches, and its height should be 9 inches. PowerPoint measures these things in pixels. Often printers’ figures are emitted in inches: my books are laid out for an 8.5 x 5.5-inch trim size, for example. Have no fear: Google “inches to pixels” and you’ll find several calculators that will convert your printer’s specs to figures you can enter in PowerPoint. So, the required 12.28 inches (which includes the trim size + the bleed + the the spine width) = 1178.88 pixels; 9 inches = 816 pixels; and the .78-inch spine width = 74.88 pixels. So, open a new “presentation” in PowerPoint. Delete the default text boxes; keep the portrait orientation. In File > Page setup, tell Powerpoint to give you a slide that’s 1179 pixels wide by 816 pixels high. It will complain; tell it you want those measures anyway. In the slide, activate the rulers, horizontal and vertical. Create a text box that’s 816 pixels high by 74.88 pixels wide. This will be your spine. Center it on the horizontal rule’s “0.” Go to Format > Shape > Text box. Select Horizontal alignment > Center and Text Direction > Rotate 90° clockwise. Enter your author’s last name and the book’s title and format the font as desired (Format > Font; experiment around to find whatever pleases you). Then, if necessary, return to Format > Shape > Text box and adjust the spine’s internal margins to your taste. Upload your cover image on the right-hand side of the spine. Its size should be at least 300 pixels; you’ll save your PowerPoint file at 300 pixels, too, when the time comes. Adjust the size as necessary so that the image fits the space between the margins and the spine textbox. To delineate the spaces for the bleed and the spine, go to View > Guides. Click to check “Static Guides.” Unclick Dynamic Guides, Snap to Grid, and Snap to Shape. This will give you two visible guidelines: a vertical one, up the middle of the “slide.” and a horizontal one, crossing it at the midline. You want more than that: you want two vertical guides to mark the width and position of the spine, two vertical guides to show the left and right margins inside the bleed, and two horizontal guides to show the top and bottom margins inside the bleed area. Various versions of PowerPoint have different ways of making extra lines, but the basic trick is to click a command key while holding your cursor on the guideline. Because this command is neither obvious nor easy to make happen, the easiest way to learn how to do it on your system is to Google a search phrase such as static guides Powerpoint [YYYY] Mac or …Windows. Enter your version of PowerPoint and Mac or Windows, whichever fits. Create the desired number of new static guidelines, and then drag them to the desired points on your rulers. My screenshot software “disappears” these guidelines, so…sorry: no image available. But as soon as you get even one guideline in place, it’s easy to see where it should go. If the image you’re uploading doesn’t already have cover lines, compose and design cover lines: title, subtitle, author’s name, and a tag if desired. KEEP IT SIMPLE! Remember that these elements may have to be visible in a thumbnail, if you’re publishing to Amazon, Nook, or waypoints. If a miracle happens and the book ends up in a bookstore, a browsing reader will have to spot your title elements quickly and without squinting. 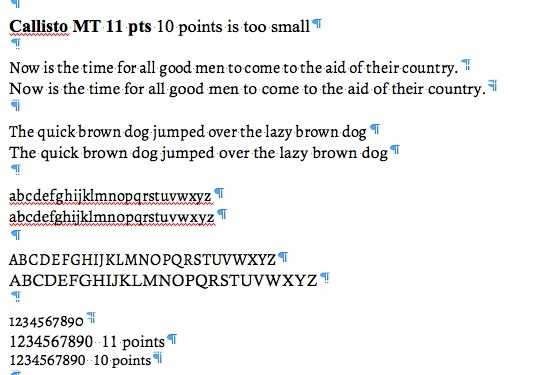 In formatting the fonts for cover lines, experiment with PowerPoint’s many embellishments. I find “line, fill, shadow, and glow” are the most useful. In this cover, I used a white line with the author name (i.e., white font with a white line — this trick often makes thinner typefaces look more bold or pop out better) and a red line with the title, subtitle, and spine copy. I used a shadow with the main title. Place each cover line in its own textbox! This allows you to control the spacing between the elements. So here, Fire-Rider: Books I-VI is in a text box and The Saga Begins is in a separate text box. The natural leading between the two lines was too wide, but with each line in its own textbox, I was able to pull up the main title to close up the space. If your image is not shaped to fill the entire horizontal “board” (as it were), then you’ll either have to fill the back cover with another image or you’ll need to fill in the back with a color. To fill in the back cover and spine with color, use PowerPoint’s Format > Slide Background > Fill function. You have several choices here. The simplest is just to pick “… > Solid” to fill in the area not covered by the image with a solid color compatible with your image’s colors. I used Format > Slide Background > Fill function > Gradient to fancify the fill colors for the book’s spine and back cover. When you select a color, you’ll see the presentation’s standard colors. At the bottom of that, you”ll see an option, “More Colors.” Click on that. In the tool that comes up (it’s likely to be a virtually useless color wheel), you’ll see a tiny icon that looks like a magnifying glass. This totally unintuitive icon is the same as Adobe’s “eye-dropper.” Click on it to capture it. Then go to your image, mouse-over the color that you’d like to copy, and click to capture that color. This you can use to fill, or you can use in the “Gradient” function. Gradient gives you two tabs, one on the left and one on the right, allowing you to blend two colors in a background or fill (you can use it to “fill” font characters, too, as I did for the “The Saga Begins” title). You can add more tabs. For this book’s background, I placed the sky’s blue in the left-hand tab, the smoke’s brownish gray in the center tab, and one of the orangey colors from the flames in the right-hand tab. In using “Gradient,” experiment with the “Styles and Direction” function to find the look you prefer. Adjusting the position of the tabs will also produce different effects. Just play around with these until you find something that works well with the title. Enter back-cover copy and images in text boxes. The bar code is an image generated from the ISBN. You can either pay Bowker for one of these or you can search “free ISBN bar code” on the Internet. Several freebie generators will create ISBNs or PDFs for you. Convert a PDF or .eps to a JPEG or TIFF file (300 dps). Crop if need be, and insert the bar code image near the bottom of the back cover, well away from other copy. The bar code should be sized at about 1 x 2 inches. This is easy to do by moving it close to PowerPoint’s rulers. Proofread. Proofread again. Proofread again. Open the PDF and save that down as a TIFF (.tif) file. Close the PDF. Open the TIFF file in a Mac’s “Preview” or, if you have a PC, some kind of image editor. Crop the image in the TIFF to get rid of the white border generated by the PDF. Check the size; be sure it’s still the pixel size you entered in your Powerpoint file. Adjust if ncessary. Be sure it’s still 300 dpi (it probably will be; adjust if need be). Save. Now save the TIFF as a JPEG. Close the TIFF and open the JPEG in Preview or an image editor. Check the size; adjust if necessary. Save. If you need a lower-resolution (i.e., smaller) file to send by email or upload someplace, do a Save…as on your JPEG and title the new image “[yourfilename] LoRes.jpg”. Close the 300 dpi image and open the new image; in Preview or the image editor, adjust the size from 300 dpi to 72 dpi. Save and close. Et voilà. You should be able to use at least one of these images to upload to a print-on-demand publisher. Mine likes PDFs; others may prefer a TIFF or JPEG version. And it’s always handy to have a low-resolution file…you never know. This entry was posted in Book design, Books, Writers Plain & Simple and tagged book design in PowerPoint, cover design in Powerpoint, hard-copy book cover in PowerPoint, paperback book cover in Powerpoint, wrap-around book cover in PowerPoint on November 10, 2015 by funny.